Published: March 1, 2015 at 04:26 p.m. Updated: March 1, 2015 at 04:45 p.m. The LaMarr Woodley experiment in Oakland will begin and end with a whimper. 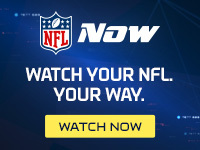 NFL Media Insider Ian Rapoport reported Sunday that the Raiders do not plan to pick up Woodley's $1 million roster bonus before the league deadline and will release the veteran linebacker, according to a source informed of the Raiders' thinking. CSN Bay Area's Fallon Smith had the first report. Woodley, 30, signed a two-year, $12 million contract with the Raiders last March in a move that typified a period of questionable spending by general manager Reggie McKenzie. Woodley played at a subpar level before being shelved for the final 10 games of the season with a biceps injury. Woodley's game has been in regression for years, and he could struggle to find work on the open market. As for McKenzie, we'll soon find out if misfires like Woodley will change how he approaches free agency.